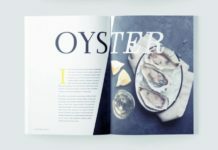 In Part Two of this two-part tutorial, Create a Magazine in InDesign, we’ll build on the Masters we created in Part One, and get creative with the layout of our first feature for ‘Foodie’ magazine. 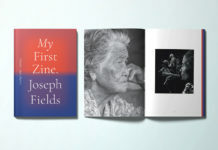 In this two-part tutorial we’ll be creating two complete spreads. Sign up to our mailing list to be alerted when the full Magazine course becomes available. Let’s get started. 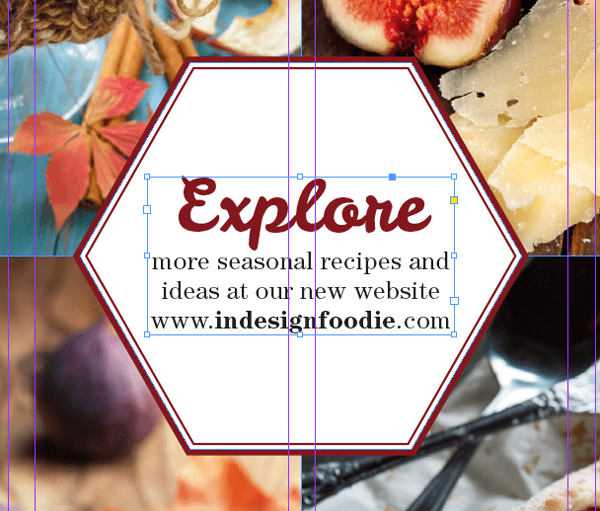 Open InDesign. 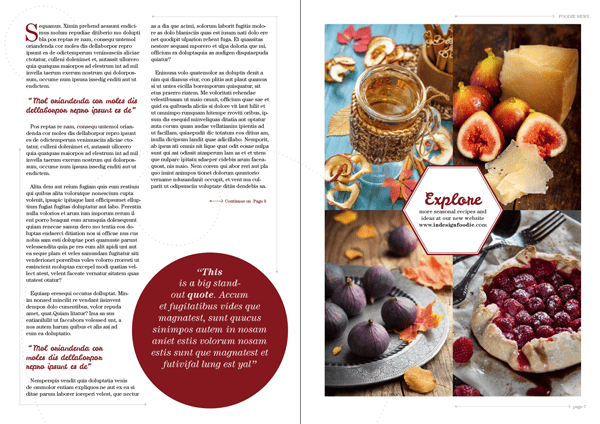 Go to File > Open and select Foodie Magazine Inside Pages.indd, which you saved at the end of Part One of the tutorial. You have a 16 page document, with Facing Pages. The A-Master has been applied to pages 4 and 5 of the document, while the B-Master has been applied to pages 6 and 7. Navigate down to page 4 of your document. 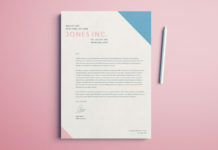 We’re going to apply a really fantastic typographic effect on this page, but before we do that we need to source a selection of photos that we can use across the whole feature. 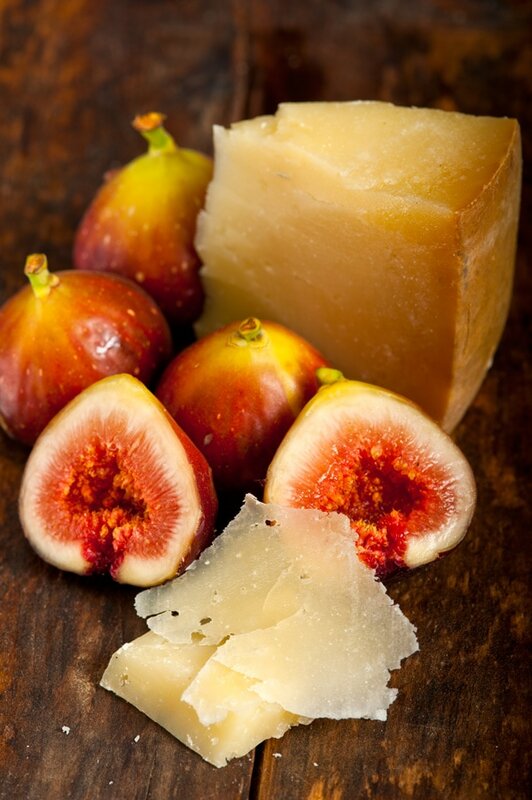 The images need to work well together, not only in terms of subject matter but also in terms of colour and quality. 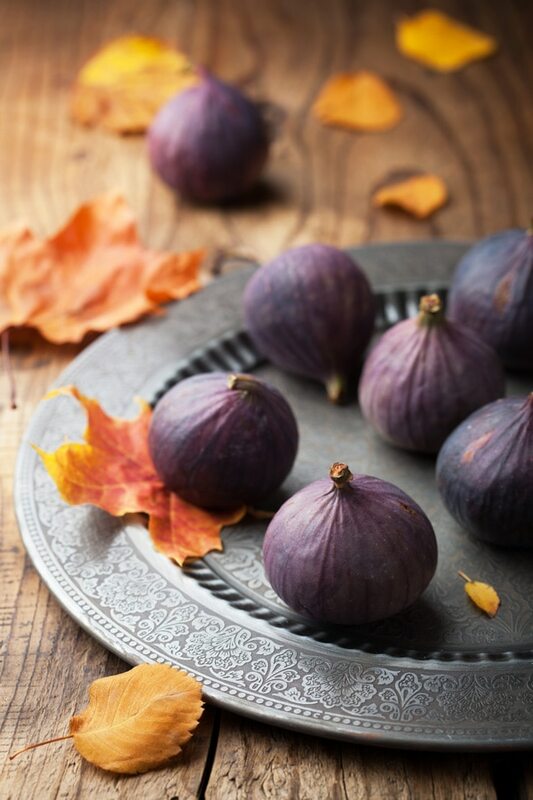 It’s a good idea to look for images which you can reuse, which can have a different ‘look’ if you show just the right-hand side, or the top left corner of the photo, for example. 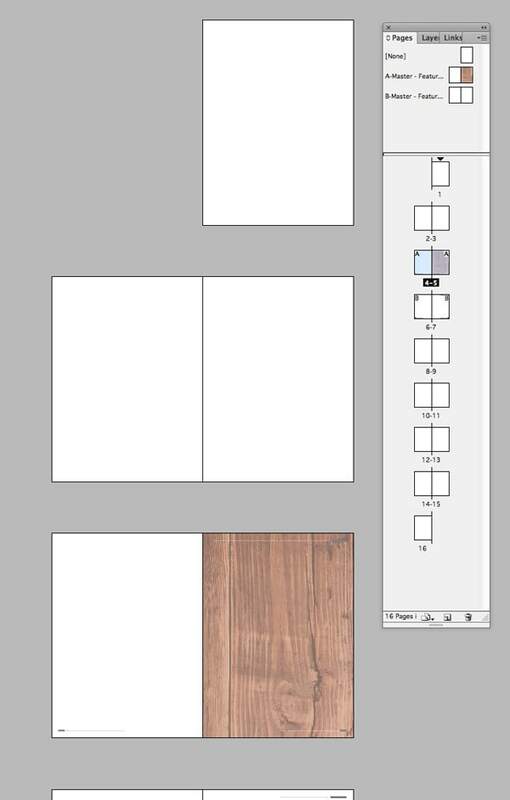 Once you’ve sourced your images, return to InDesign and go to Window > Mini Bridge (from CS6 onwards) to open Mini Bridge. 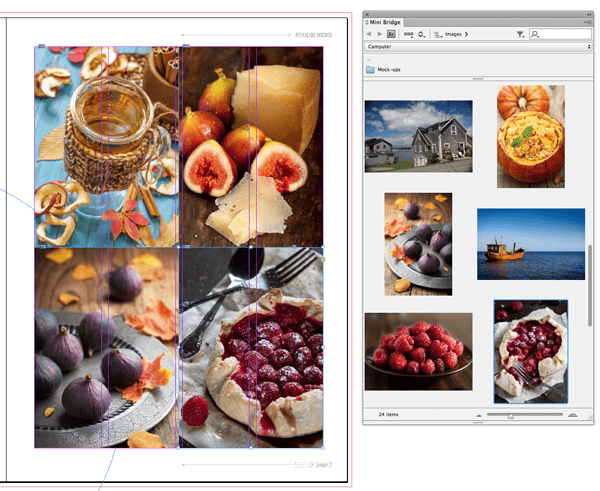 From here, you can navigate to your folder of images and drop them in to your layout with ease. 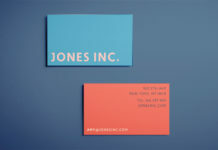 We’ll also need to select a couple of typefaces to use in our layout. 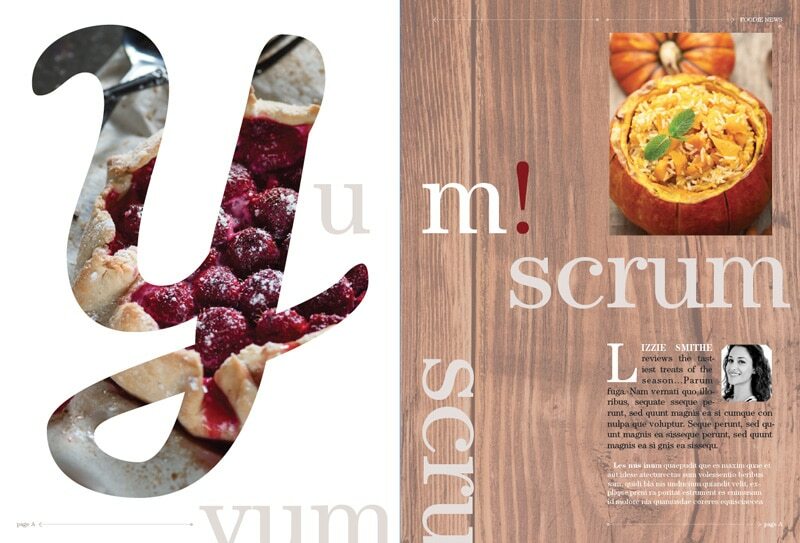 In most magazines you will notice that a standardised ‘brand’ font will be used uniformly throughout the publication. This will be applied to body text, page numbers, running headers and some titles. In this tutorial we will use ITC Century Std, which we’ve already used for the page numbers on our Master pages. It’s also a great idea to pick out a font which has a more decorative style, which you can use for the feature title and quotations. In this tutorial I’ve used the free font Leckerli One, which has a cheerful retro aesthetic. 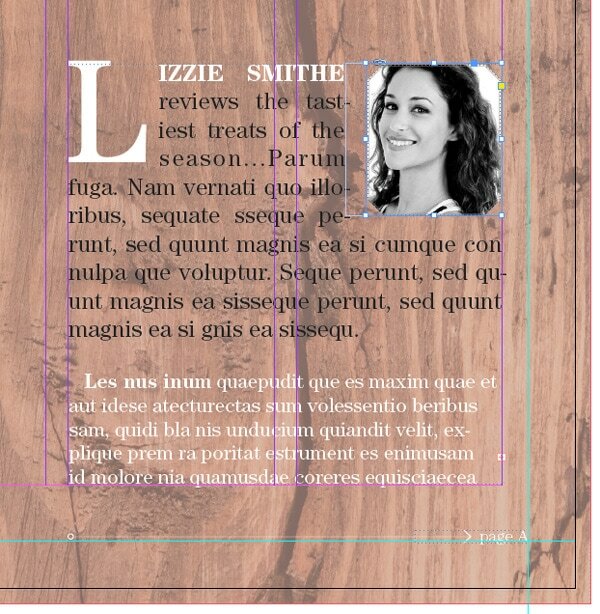 Remaining on Page 4 of your InDesign document, select the Type Tool (T) and drag to create a large text frame that extends across most of the page. 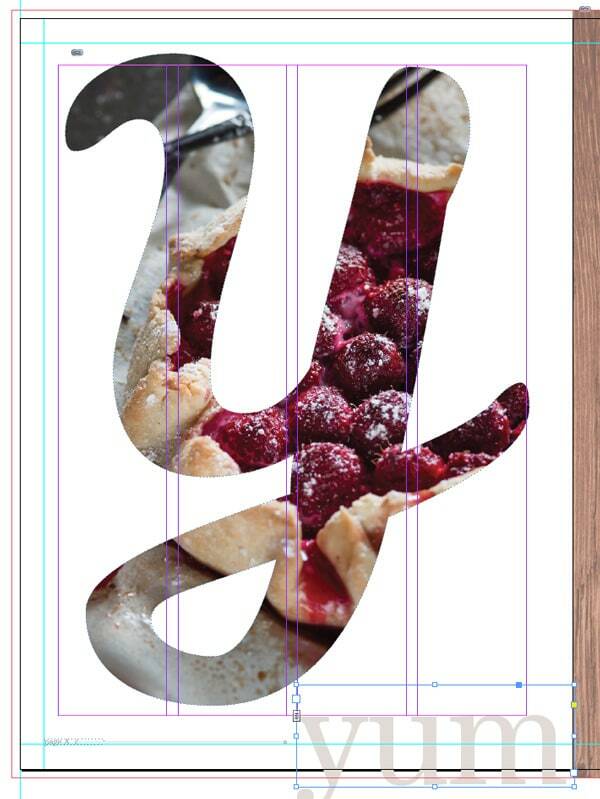 Type Y into the frame and set the Font to Leckerli One, Size 650 pt. 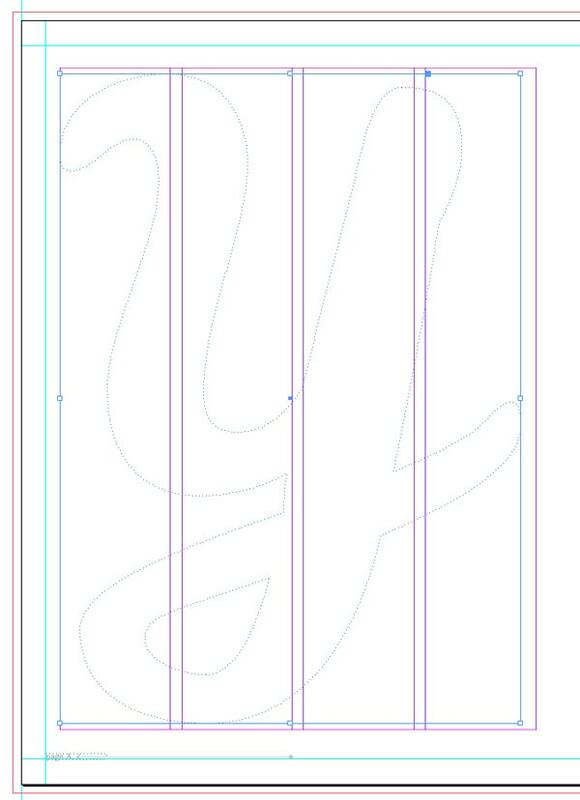 With the text frame selected, go to Type > Create Outlines to convert the letter into a shape. From the control panel running along the top of the screen, adjust the Fill Colour of the letter to [None]. Either drag and drop an image from Mini Bridge onto the shape, or, with the shape selected, go to File > Place and select an image. Your chosen image will fill the letter. Select Fill Frame Proportionally from the top control panel to arrange the image in the shape. Ta-dah! 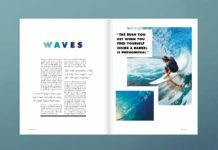 A super easy but really effective technique for bringing high-impact to your magazine feature. Navigate to the bottom right corner of Page 4. 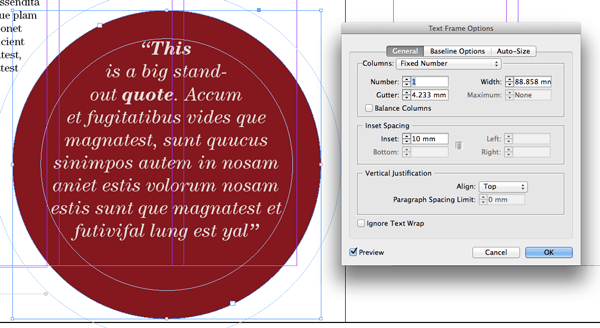 Select the Type Tool (T) and drag to create a new text frame about 38 mm in Height and 103 mm in Width. 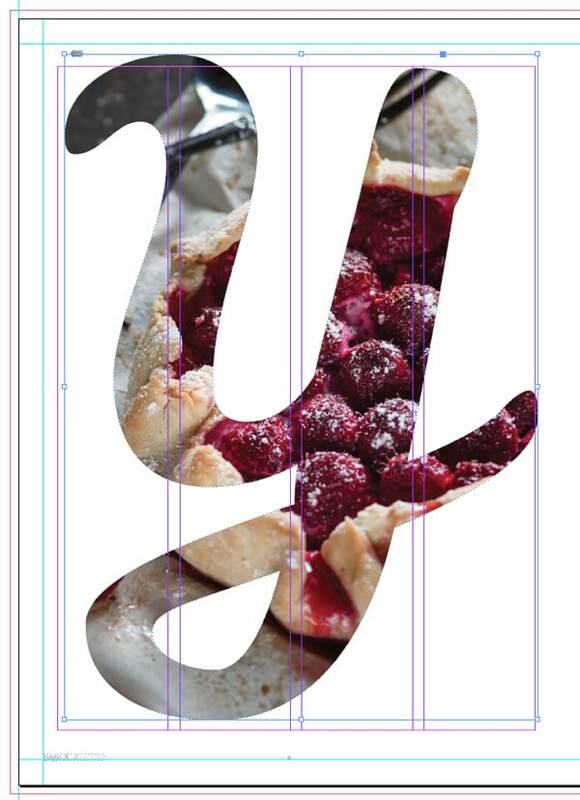 Type ‘yum’ into the frame and set the Font to ITC Century Std Book, Size 150 pt, and Font Colour to a new CMYK Swatch, C=0 M=10 Y=11 K=34, a sandy beige colour. 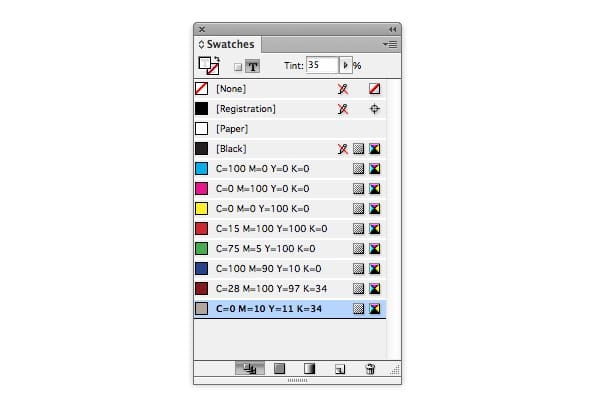 Open the Swatches panel (Window > Color > Swatches) and adjust the Tint percentage to 35%. Position the text frame as shown. With the text frame selected, go to Edit > Copy and Edit > Paste. Repeat two more times and adjust the text content of each frame to read ‘u (space x 2) m’, ‘scrum!’ and ‘scrum’. You can rotate one of the text frames by Right-Clicking (Windows) or Ctrl-Clicking (Mac OS) > Transform > Rotate 90 degrees Clockwise. Introduce a couple of new colours via the Swatches panel, changing the Font Colour of some characters to [Paper] and others to a reddy-brown swatch, C=28 M=100 Y=97 K=34. Manoeuvre the frames into the positions indicated below. Navigate to Page 5 of the spread and hit W on the keyboard to switch the Screen Mode to Normal, if not in that mode already. You can now see the guides marking out the columns on the page. 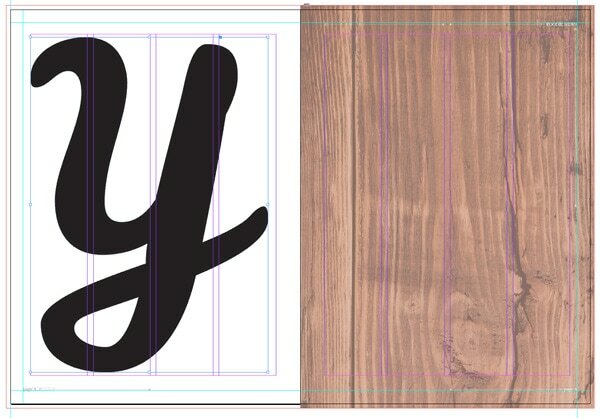 Select the Type Tool (T) and drag to create a small text frame 84 mm in Width and 80 mm in Height. Position this in the bottom right corner of the page, fitting the text frame snugly across the two far right columns. Place your type cursor into the frame and set the Font to ITC Century Std Book, Size 11 pt. You can Edit > Paste in your chosen text for the feature or File > Place a Word document into the frame. If you’re just creating a design sample, you can go to Type > Fill with Placeholder Text to insert temporary text. Highlight the first letter of the first paragraph, or simply place your cursor into the first paragraph of text. In the Character Formatting Controls panel running along the top of the screen, locate the Drop Cap Number of Lines icon and set the value to 4. 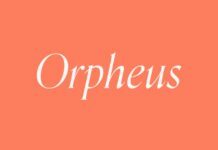 The first letter will be pulled out in an elegant drop cap. Highlight the first two words of the text, and set the Font Weight to Bold, All Caps, and the Font Colour to [Paper]. You can also highlight the whole first paragraph and make it slightly bigger, 13 pt, to give it more prominence on the page. Highlight the second paragraph and set the Font Colour to [Paper] for added contrast to the text. Select the Rectangle Frame Tool (F) from the Tools panel and drag to create a small frame 26 mm in Width and 30 mm in Height. Drop the image of the author from Mini Bridge or go to File > Place > Open. In this example, I converted the image to black and white using a Channel Mixer Adjustment Layer in Photoshop, to give it a more professional look. This is also a great way of making all author photographs appear uniform throughout the magazine. 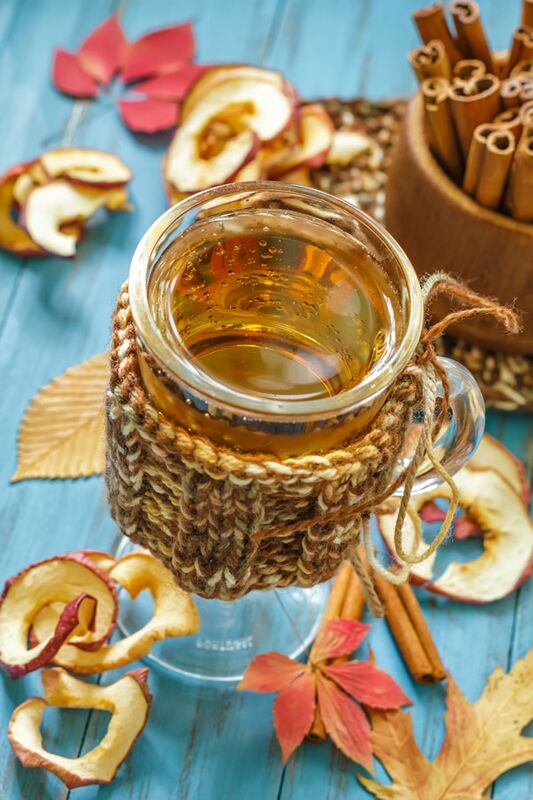 Place the image frame to the top right corner of the text frame you created in Step 2, above. Go to Window > Text Wrap to open the Text Wrap panel. Select the Wrap Around Bounding Box icon and set the Left Offset value to 4 mm. 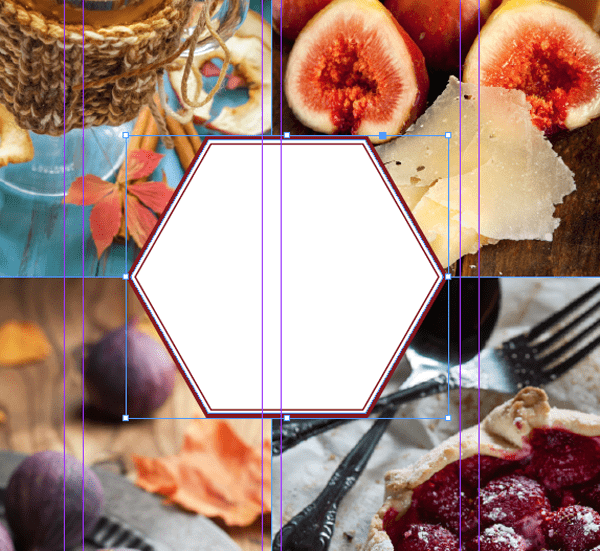 With the image frame still selected, go to Object > Corner Options and set the Size to 3 mm and Shape to Bevel on all sides, to create a framed appearance. 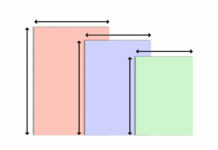 As a final touch on the spread, select the Rectangle Frame Tool (F), as before, and drag to create a frame that fits, as with the text frame, across the two far right columns. 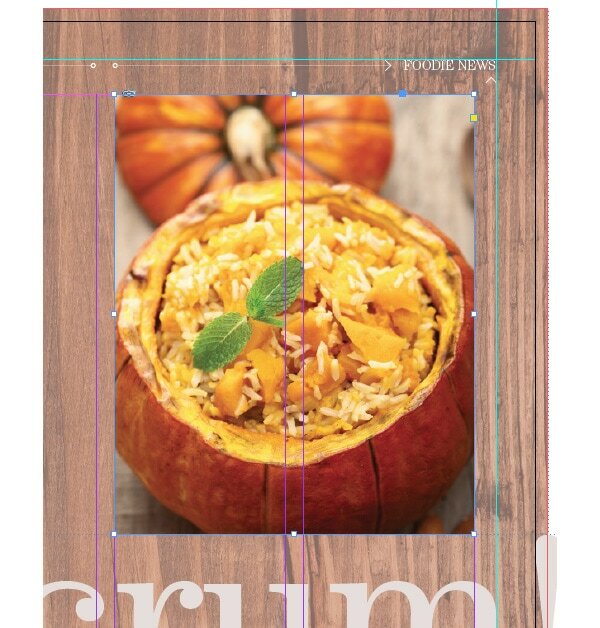 Extend the height of the frame down until it sits just above the ‘scrum’ text frame. 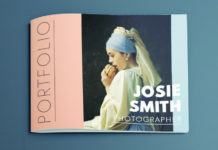 Drop in an image from Mini Bridge or File > Place a chosen image to give more context and colour to the spread. 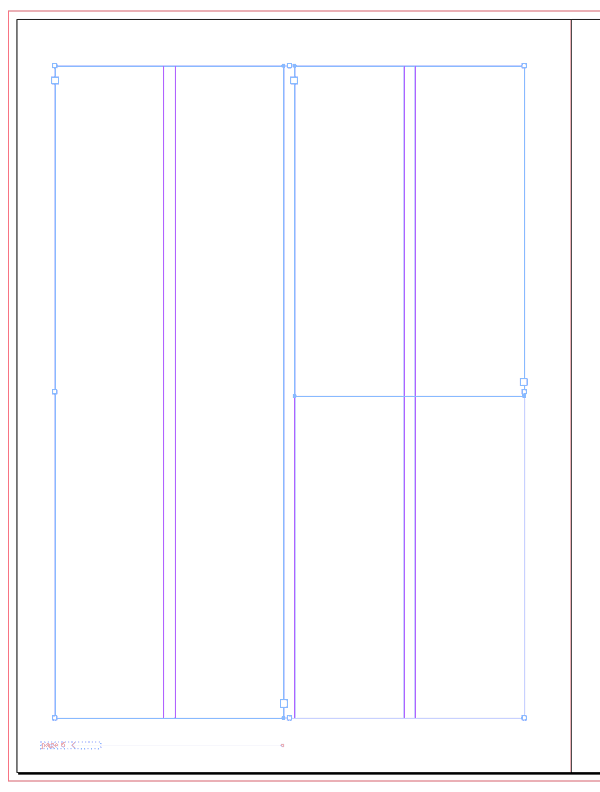 Return to the Pages panel (Window > Pages). Double-click the page icon for Page 6 to bring up the pages 6-7 spread on screen. Back in Part One of this tutorial we applied the B-Master to these two pages, so we can see page numbers running along the bottom of each page. If the B-Master isn’t already applied to pages 6 and 7, drag the page icon next to the B-Master name at the top of the Pages panel and drop onto the relevant page icons below it. 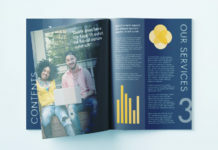 For the final two pages of our four-page feature, you’ll create a stylish page with two columns of text and a quote bubble, plus a colourful image grid on the facing page. Remain on Page 6 of the document and select the Type Tool (T) from the Tools panel. Drag to create a frame that stretches across the two far-left columns on the page, and reaches from the top margin to the bottom margin. Select the text frame with the Selection Tool (V, Escape) and Edit > Copy, and Edit > Paste. Position the second text frame across the two far-right columns on the page, and adjust the Height so it finishes about halfway down the page. Navigate up to the previous spread, pages 4 and 5, and click in the lower right corner of the article text frame on Page 5, where you can see a small red + symbol, that indicates text is overflowing the frame. Return to Page 6 and click once into the left-hand column, allowing the text to flow into it. Repeat the process, connecting the left-hand column with the right-hand column. Go to View > Extras > Show Text Threads to ensure you have connected the frames in the order as shown below. Now you can apply some formatting to the text. In the example here, I started a new paragraph on Page 6 of the article, and setting the Font Colour of the remaining text in the article to [Black]. I then set the Drop Cap Number of Lines to 3 by putting my cursor in the first paragraph, and pulled out the Drop Cap in a reddish-brown swatch, C=28 M=100 Y=97 K=34. Quotes are pulled out in LeckerliOne Regular, Size 15 pt and Font Color C=28 M=100 Y=97 K=34. To recreate the quote bubble effect here, select the Ellipse Tool (L) and, holding Shift, drag to create a perfect circle. Set the Fill Colour to C=28 M=100 Y=97 K=34. Select the Type Tool (T) and click once in the circle to transform it into a text frame. Type or paste in a quote, before setting the Font to ITC Century Std, Book Italic, Size 19 pt and Align Center, from the Character Formatting Controls panel running along the top of the screen. 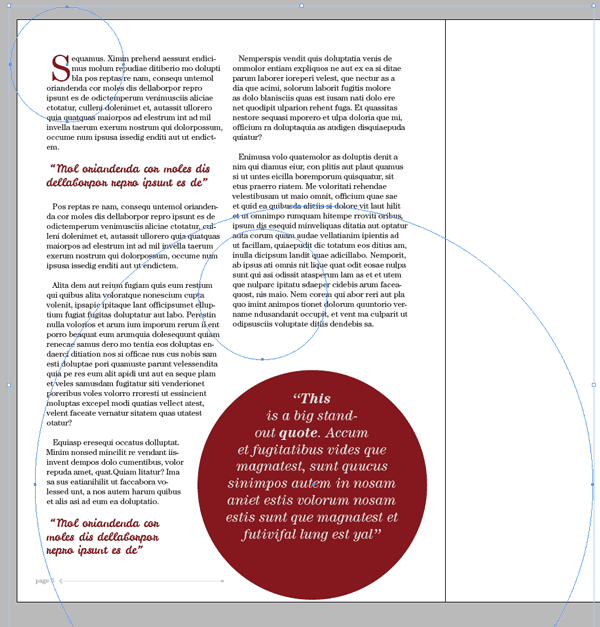 Open the Text Wrap panel (Window > Text Wrap) and set the Offset value to 7 mm, before positioning the circle to the bottom right of the page, as shown. With the circle selected go to Object > Text Frame Options and set the Inset Spacing to 10 mm to give the text frame a margin. 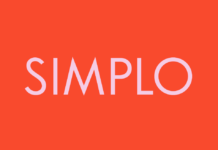 You can add more interest and detail to your layout by adding simple shapes and lines to the design. 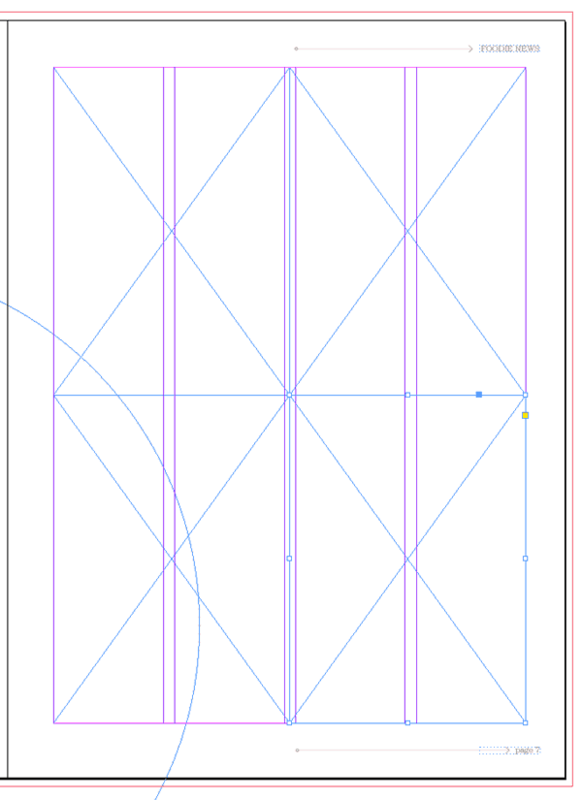 Select the Ellipse Tool (L) again and, holding Shift, drag to create a perfect circle about 260 mm in Diameter. Set the Fill Colour to [None] and Stroke Colour to C=0 M=10 Y=11 K=34. 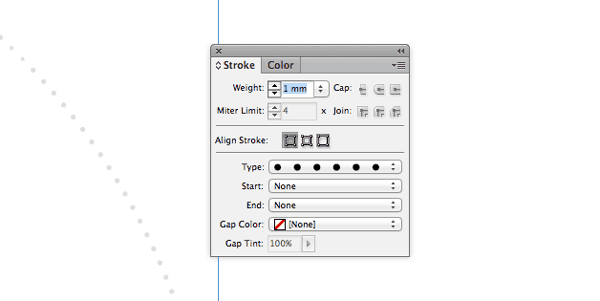 Open the Stroke panel (Window > Stroke) and set the Weight to 1 mm and Type to Dotted. You can select this shape and Edit > Copy, Edit > Paste a couple of times. Resize the circles while holding Shift to make two smaller shapes and position them in the rough positions as shown below. Make sure you select all the shapes and Ctrl-Click (Mac OS) or Right-Click (Windows) > Arrange > Send to Back. 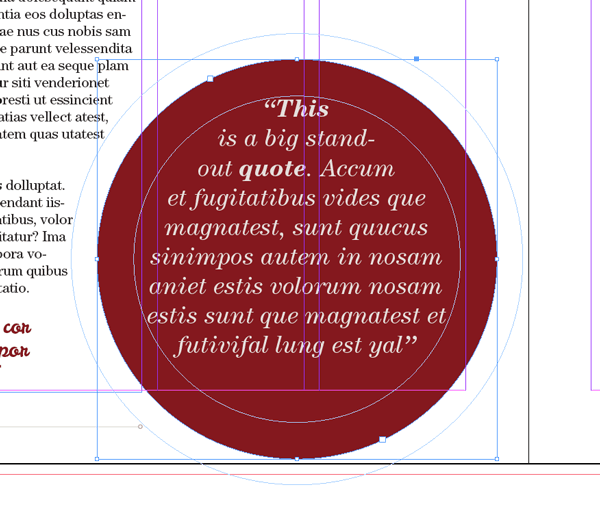 This will ensure that the decorative circles don’t obscure any of the article’s text. 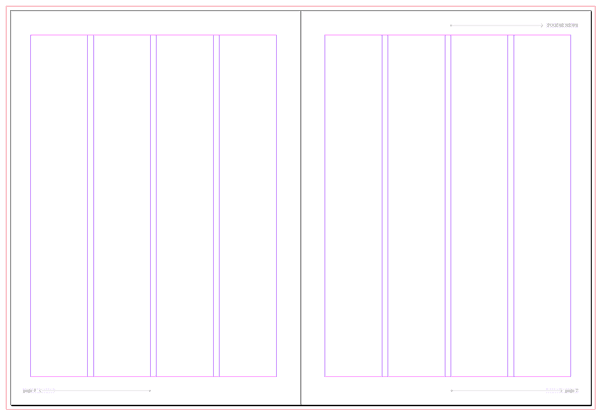 With your Page 6 layout complete, scroll over to the right-hand page of the spread, Page 7. Select the Rectangle Frame Tool (F) from the Tools panel and drag to create an image frame 119 mm in Height. 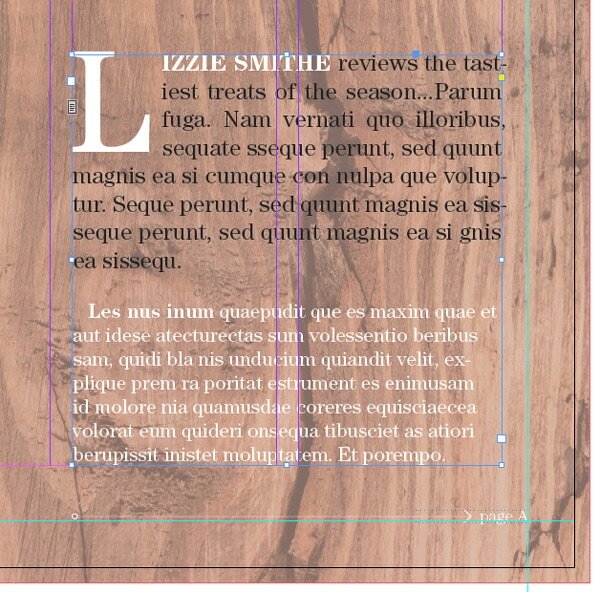 Position this frame at the top left corner of the page, stretching it across to the middle of the page (InDesign will flash up a temporary guide when you reach the center point). Select the frame and Edit > Copy, Edit > Paste three times, positioning each frame in a corner of the page, as shown. Either File > Place > Open individual images or drop in images from Mini Bridge, as we did earlier in the tutorial. Select Fill Frame Proportionally from the top control panel to arrange the image best in the frame. As a final pro touch, we can disguise the centre point where the image frames meet and add extra charm to the design with a retro-style shape. Select the Polygon Tool from the Tools panel (find it in the drop-down menu next to the Rectangle Tool) and, holding Shift, drag to create a small polygon about 65 mm in Diameter. Set the Fill Colour to [Paper] and the Stroke Colour to C=28 M=100 Y=97 K=34. From the Stroke panel, set the Weight to 2 mm and Type to Thick-Thin. 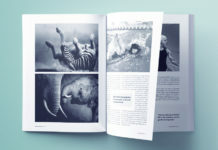 Position the shape centrally on the page, where the four image frames meet. 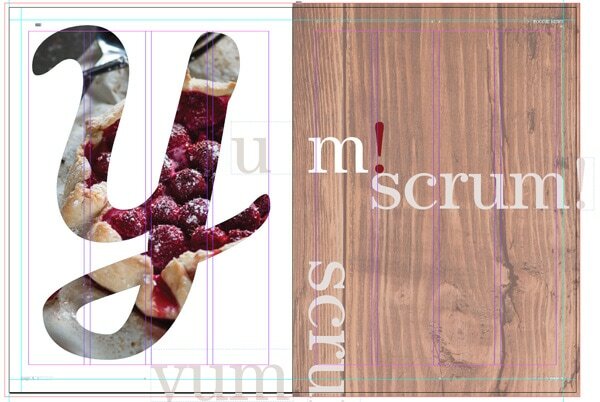 Select the Type Tool (T) and drag to create a small text frame that fits snugly within the border. This is a great place to pull out a special quote, or invite the reader to do something extra, like find out more about the article online. 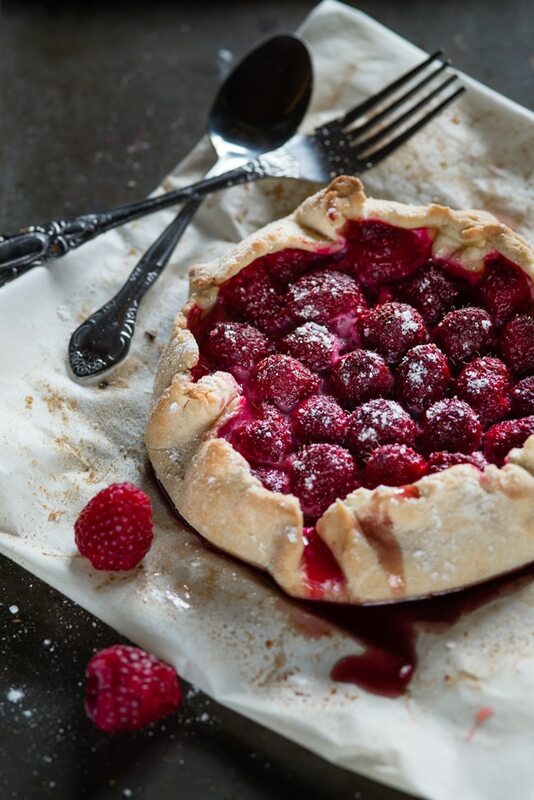 Pull out the header text in LeckerliOne Regular, Size 32 pt, and set the remaining text in ITC Century Std. Congratulations! 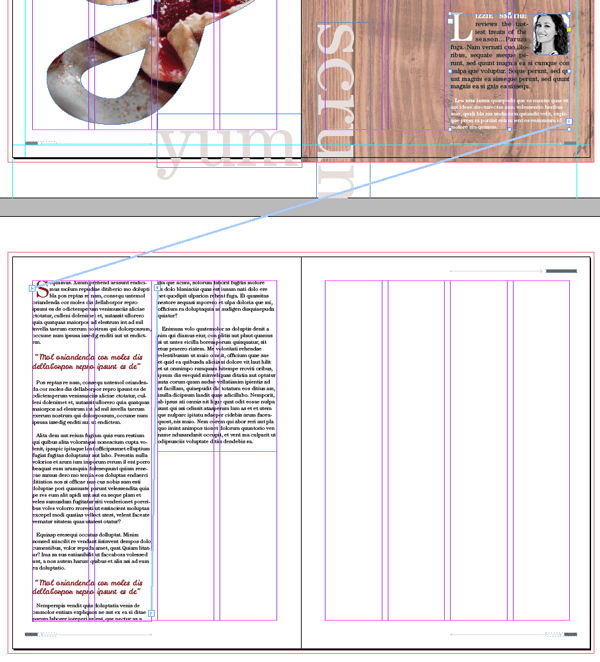 You’ve designed two full spreads for a magazine feature and it’s looking awesome, and really professional. You can take away some really useful skills from this exercise. 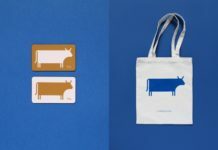 You’ve learnt how to use a grid layout to structure your layout designs, apply typography professionally and create interest and detail with shapes and images.